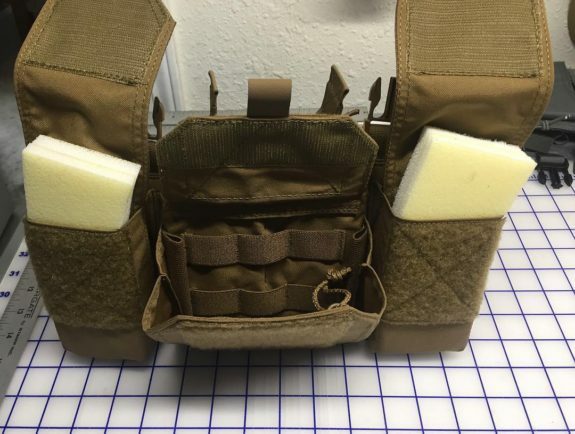 Chase Tactical is developing a new placard for use with their plate carriers (and other compatible carriers). 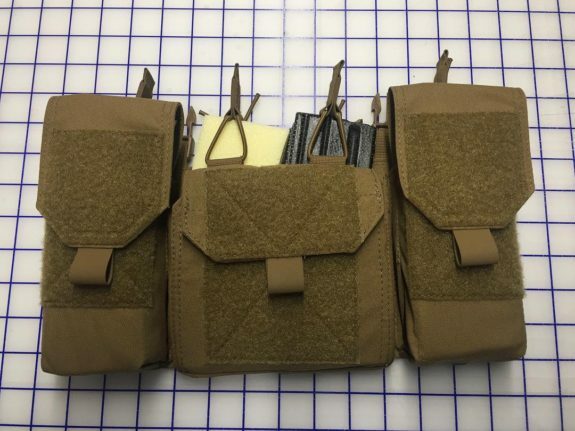 The 5.56 MOLLE Clip Placard will feature 4 single magazine pouches with bungee retention. It also has 3 pouches located across the front of the placard. The outer two pouches are set up for general use or medical items. The center pouch has internal elastic organization and opens forward to give access to smaller admin contents. Stay tuned for information on pricing and availability.